Digits does something all ICOs aim to do, but few actually accomplish. The innovative payment solution captures the imagination of crypto enthusiasts, smooths the way for merchant adoption of cryptocurrencies, and gives investors a solid opportunity to get in on the ground floor of a revolutionary payment model. Simply put, Digits turns any credit or debit card into a crypto card. Digits enables the end user to link his or her credit or debit card to a cryptocurrency wallet. This enables the user to purchase items with cryptocurrency rather than with fiat currency. Digits turns credit cards into crypto cards. Why is that important? Crypto enthusiasts have long known that one of the major impediments to widespread adoption of cryptocurrencies is that the process to use them as currency is convoluted. Digits neatly solves this problem by making the use of cryptocurrencies as seamless as slipping a credit card into a chip reader. That means that consumers can use bitcoin, Ether, Litecoin, and Ripple as easily as they use a debit or credit card, with no worry about how to convert the cryptocurrencies into other forms of payment. For investors, there is a lot to love about the Digits ICO. Here are just a few factors that set Digits apart from the rest of the ICO pack. By leveraging the familiarity of credit and debit cards for cryptocurrency, Digits opens up tremendous opportunities to attract new users to the cryptocurrency space. The innovative solution demystifies cryptocurrency for the average consumer. By eliminating the somewhat frustrating and confusing steps required to convert cryptocurrency to fiat currency, Digits removes a significant roadblock to cryptocurrency adoption. Even cryptocurrency enthusiasts find substantial benefit to using Digits. It seems clear at this point that cryptocurrencies like bitcoin are not going away, but even a growing crypto community must face the reality that cryptocurrency is difficult to use in any real-world scenario. Digits takes that complexity away. Digits is closely tied to the payment solution company, Digitzs. Digtizs is a proven success, offering platform-agnostic services to a variety of merchants worldwide. Merchants and consumers are already using the Digitz platform. For investors, this means that Digits is far ahead of unproven companies with nothing but an idea, a whitepaper, and a website. Historically, an ICO rises and falls on the value offered by its team. Digits has a stellar team to recommend itself. When investors examine the Digits team as part of performing their due diligence, the team’s experience and strengths shine. Digits CEO Ben Way is no stranger to the world of finance, technology, and cryptocurrency. Based in Silicon Valley, Way has advised some of the world’s leading institutions, including the White House. Named a top 50 UK Influencer in 2016, Way’s crypto credentials run the gamut from advising Tradehill founders in 2011 to strategizing on the rollout of the largest bitcoin mining operation in San Francisco. Laura Wagner, Digits CCO and Digitzs Founder and CEO, is well-known for pioneering credit card acceptance in McDonald’s. Not ready to rest on her laurels, Wagner launched Digitzs, the first real-time white label merchant boarding solution for software platforms. Now, she brings her vision of making crypto payments painless to Digits. With an experienced advisory board of industry heavy hitters from brands like Apple, Visa, and JPMorgan, the Digits ICO has the sort of deep bench of talent which savvy investors notice. 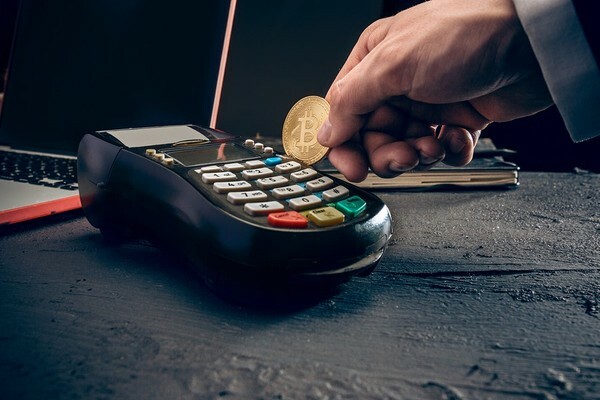 Offering a way to connect the increasing consumer demand for credit card payments with an ever-growing interest in crypto payments, Digits comes along at an opportune time. Investors studying market trends can easily see the significance of a solution like Digits. What do those trends show? Credit cards are hot. According to December 2017 data from the Federal Reserve, total U.S. card payments reached $111.1 billion, an increase of 10.2 percent over the previous year. At the same time, 2017 saw explosive growth in crypto, ending the year with a $600 billion evaluation, an increase of 3,400 percent. Add to that the global push toward digital payment solutions, and it is clear that Digits has the right idea at the right time. Digits sits in the sweet spot in the payments industry. It is a solution that appeals to crypto enthusiasts, merchants, and consumers ready to utilize cryptocurrencies. With a proven team, a partnership with a proven payment platform, and a means of leveraging payments systems already in use and familiar, Digits is making investors sit up and take notice.